Ravi Patel is an amateur photographer with a passion for taking images from a unique perspective. With his travels all over the world, he has captured some interesting photos that he shares on this website. Ravi loves black and white images and the digital format allows him to experiment with artistic renderings. He focuses mostly on nature, landscapes, animals and unusual vistas and images. For a quick glance at the photos posted on this blog, please check out the Color Photo Gallery and Black and White Images. Ravi welcomes your comments. 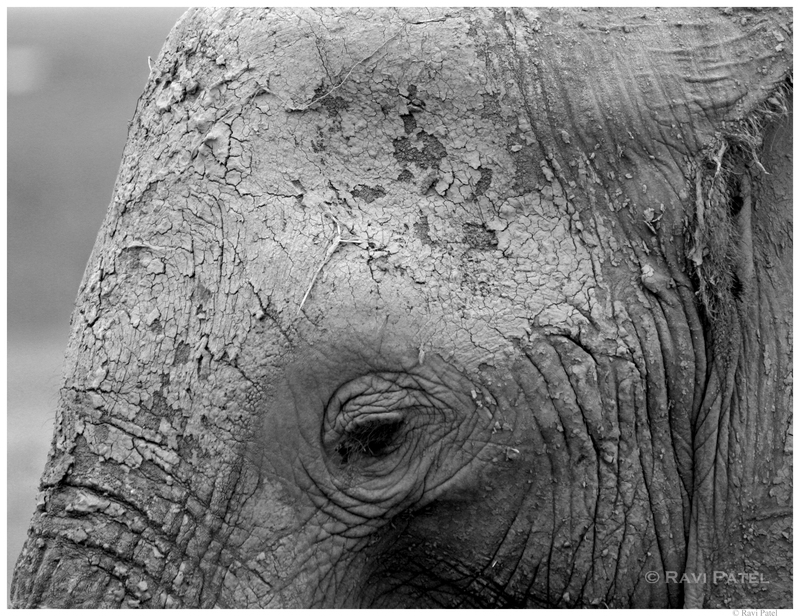 A lover of elephants, Ravi has selected the “Eye of the Elephant” as his photo profile. Great photos, I hope to learn from your mastery. Hi there Ravi. I am also addicted to travelling to new countries and learning all about their cultures and taking photos of the moments and places I never want to forget. I am really enjoying following your jeourney through your photos, they are beautiful.. Thanks Janaline. I see that you have travelled extensively and posted some neat photos. Keep it up. You are most welcome Maggie! Thanks for stopping by my blog! I have enjoyed looking at yours as well. Best wishes as you pursue photography! Thanks Irene. I am glad that you stopped by. Hello! Do you sell your images/rights to your images? I would love to buy your “Qorikancha – The Center of the Ceque System of the Incas” and/or receive rights to the image to commemorate my trip to Peru. Please let me know! I love to follow your blog. You have some amazing and inspiring photos. For that reason I nominated you for the Liebster Award. Please go to this link to follow the instructions how to accept this award! Thanks Maja. I appreciate your comments and nomination. Thanks for liking my photo Ravi . You have some great images here. Hello Ravi, you have amazing photos and I would like to challenge you to the Black and White photo 5 day challenge, it’s just for fun so totally up to you if you accept. Hi Ravi! Your photography captures your travels perfectly! Galapagos has been on our bucket-list for a while. It’s good to have come across your blog and look forward in following your journey as your travel across the globe. Thanks so much Cheryl. You will have a wonderful experience when you go to Galapagos. May I have permission to ink and wash one of the photos? What specific photo are you interested in? Ravi, I wonder if you would allow me to paint two of your photographs: Elephant Family 4/9/13 and Lioness Stalking. They are just beautiful, and most inspiring. It is okay to do so, Carole. I would love to see images of your completed paintings. Very nice work, Carole! Look forward to your rendition of my images.